NotLikeALeafOnTheWind shared this project on Thingiverse! 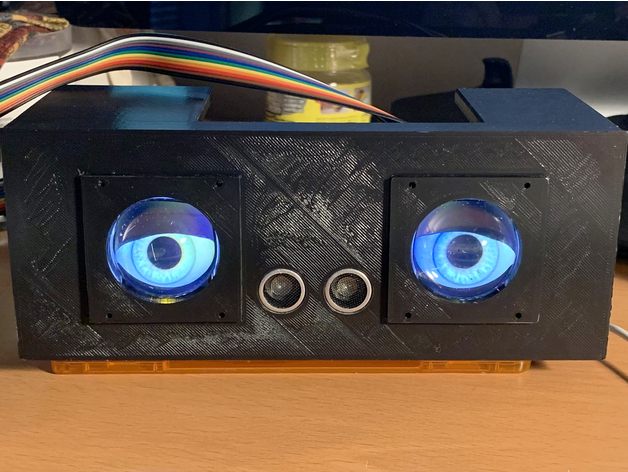 A case for Adafruit’s Animated Eyes Bonnet for Raspberry Pi using the US-100. (No more level shifters.) The case will mount either a Pi Zero or a full sized Raspberry Pi on the front inside face or inside bottom of the case. The US-100 mounts through the front of the case. The idea is to place the box in a dark place and uses the sensor to wake the effect up a programmable distance.